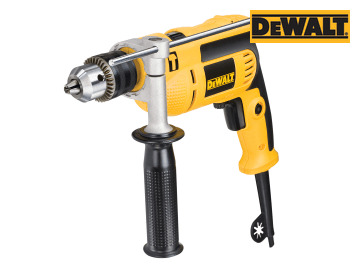 The DEWALT D024K 13mm Percussion Drill has been designed with low weight in mind to ensure the drill is easy to use and to help reduce user fatigue on long drilling applications. The compact design enables comfortable use and allows access to tight spaces. 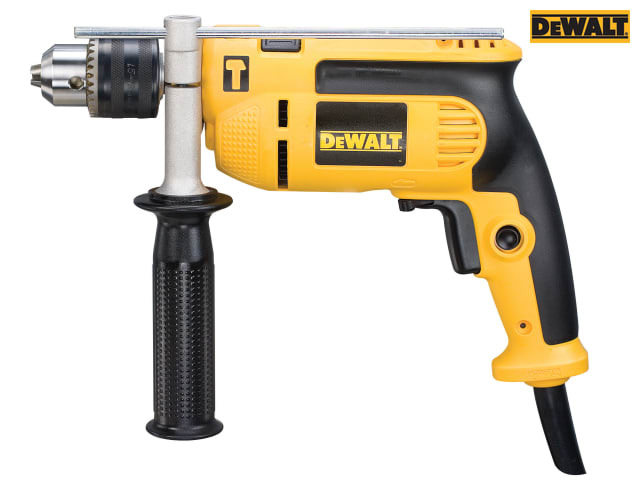 There is a sensitive soft trigger with variable speed switch which allows a user to drill slowly for precision accuracy when starting to drill a hole, while the rubber back handle increases comfort to the user in drilling and hammer drilling applications. The lock-on button gives the user the option to keep the machine continually running when doing repetitive operations. Suitable for drilling in concrete, masonry, steel, wood and fixings. 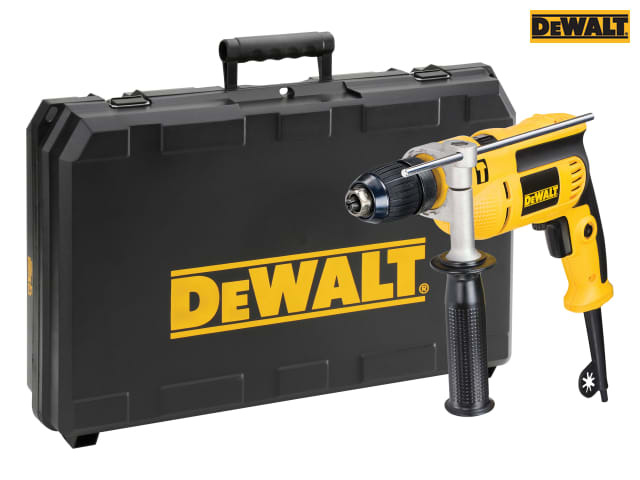 Supplied with: 1 x Chuck Key, 1 x Multi-Position Side Handle, 1 x Depth Stop, 1 x Heavy-Duty Carrying Case and 1 x Instructions. Chuck: 13mm Keyed, 1/2in-20 UNF. Capacity: Concrete: 16mm, Steel: 13mm, Wood: 25mm. 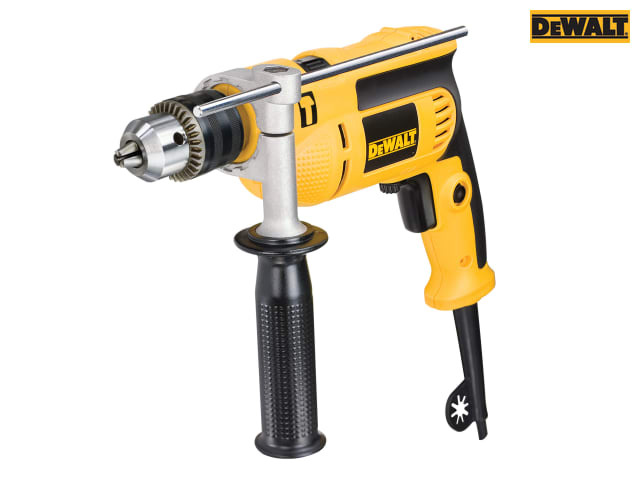 The DEWALT D024K 13mm Percussion Drill 240 Volt Version.